Updates on work toward a sustainable and equitable food system. 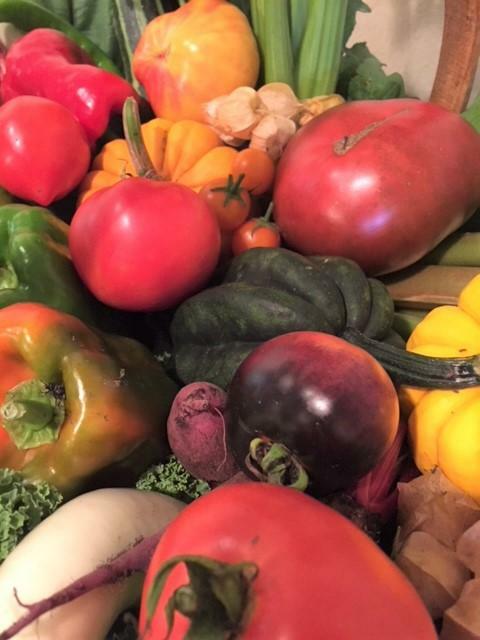 This quarterly newsletter keeps you informed about the work of the Collaborative and other organizations and institutions toward the goals of the Massachusetts Local Food Action Plan . You can also follow progress on our website , on Facebook , and on Twitter . The Collaborative hosted a meeting in early March to discuss how to best support farmers’ and fishermen’s capacity to respond to the impacts of climate change on their businesses. More than 45 people representing farming and environmental organizations, state and federal agencies, universities, and other stakeholders discussed the issues and began to develop strategies to collaborate in supporting farmers and fishermen. There was a mutual recognition that there is a need for better coordination of adaptation and mitigation information, resources, and programs. Discussion topics also included the benefits of improved soil health, and the required changes to production practices and education required to promote healthier soils. The group also raised concerns about regulations, and created a list of further research needed to better support farmers and fishermen. Beyond the general agreement to collaborate, the meeting generated a number of action items to follow up on including: attention to worker health impact, advocacy for increased technical assistance related to soil health, facilitating better access to conservation programs, working to adopt more consistent language across programs and resources, exploring state funding for Soil and Water Conservation Districts, expanding the list of essential research topics and information, and seeking adequate program funding for significant expansion of resources to address issues brought on by climate change. The Collaborative held its first "Creating a Culture of Inclusion at MA Farmers Markets" workshop in Wellesley in mid-March. Thirty farmers market managers, vendors, and representatives from support organizations discussed how their markets can welcome all customers as demographics at farmers markets change, with a wider range of community members shopping at markets. Former MDAR Commissioner Greg Watson led the workshop and provided a historical perspective of farmers markets and race in Massachusetts. Examples of the difference between equality and equity provided context for the discussion. Participants discussed challenges that have arisen with the changing demographics at farmers markets, such as frustration due to longer lines, different cultural expectations among customers, and difficulty explaining programs because of language barriers. Managers and vendors shared what made their markets successful and brainstormed ways that their markets can become more financially sustainable as well as more equitable in how they serve their community. 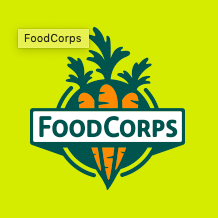 Opportunities include connecting more with the community through schools and universities, senior centers, new American growers and nonprofit organizations, and by integrating cooking demonstrations and other community activities into their operations. Resources are also needed for more education and communication for market staff, vendors, and customers around cultural awareness, equity, and how the HIP program works. Attendees suggested many tools and resources that would help make their markets more welcoming. Translated signage for customers and vendors was a top request. Markets would also appreciate help in developing language that projects to customers that diversity is important to their market. Examples of educational activities that highlight diversity might support that goal as well. Markets would also appreciate best practices on designing market spaces to reduce lines. The Collaborative hopes to create a toolkit that can be used to support these and other ideas raised in the workshop. A second session of the workshop will be held in in Greenfield on April 25. Interested market managers and vendors can RSVP here . In response to a recommendation from the Plan and several years of advocacy on the part of the Collaborative and other stakeholder groups, in January a group of six legislators formed the legislative Food System Caucus “to support and grow the local food system in the Commonwealth.” With food system bills being considered in many different committees, the Caucus is an opportunity to consider those pieces of legislation in the broader context, to educate legislators about the range of issues that contribute to an equitable and sustainable food system, and to help inform their policy and budgetary decisions. Caucus membership quickly grew to more than 70 members, making it one of the largest caucuses in the legislature. Caucus chairs are Representatives Hannah Kane, Dan Donahue, and Paul Schmid and Senators Jo Comerford, Anne Gobi and Eric Lesser. Planned activities include tours of food system businesses and institutions, and presentations from stakeholder organizations and other leaders. The Caucus will next identify budget priorities for the FY20 budget. Advocates who want to encourage their legislators to join the Caucus can contact Winton at winton@mafoodsystem.org to find out how. The Collaborative is also working with the Conservation Law Foundation and other organizations to support lowering the threshold of the Commercial Food Material Disposal Ban from the current threshold of businesses that produce one ton of organic waste material per week, to include those that produce more than a half-ton per week. For more information, contact Brittany Peats at brittany@mafoodsystem.org or 617 863 6865. Development of a comprehensive farmland action plan to compile data on land use trends and use that data to guide state investments and policies related to farmland access, protection, and use. 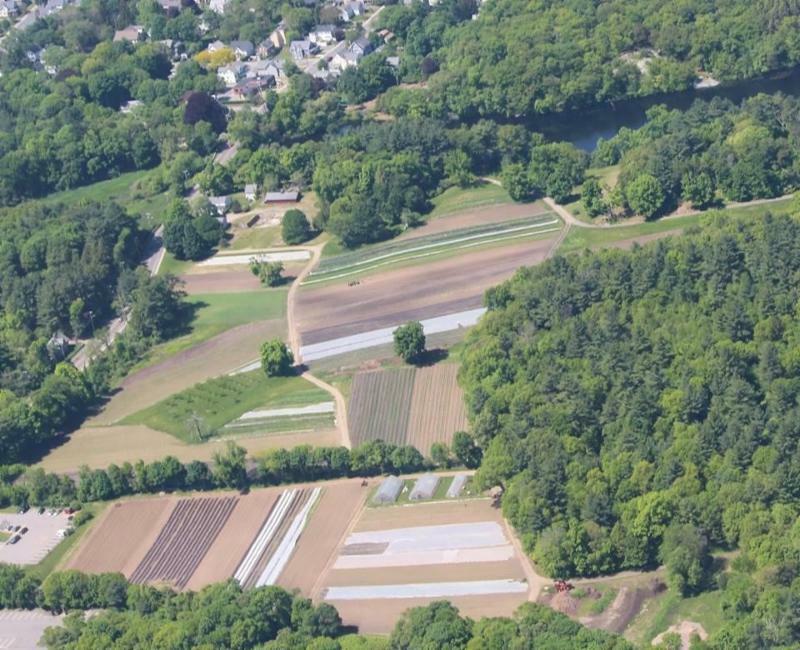 EEA is embarking on a Land Conservation Planning process to guide future capital investments, and discussion focused on how the farmland plan might be integrated into that effort. Fully expending funds made available to the APR program in the 2008, 2014, and 2018 environmental bonds, and ensuring that the review and revision of APR regulations allows the program to adapt to the changing needs of agriculture, particularly around issues of housing, agritourism, and other farm-related businesses. Conversation on this topic focused on how to use those bond resources to capture additional federal funds for farmland protection. Making publicly-owned land available for agriculture through extending the maximum lease term allowable on state-owned land, allowing for infrastructure improvements, allowing for direct sales of crops grown on-site, and focusing on equity issues to ensure that land is made available to all communities interested in farming. EEA is in the process of hiring an environmental justice director and the Collaborative will coordinate a stakeholder meeting with them once they are on board. This individual will help build connections with land-holding agencies to inventory properties and work to ensure that land license policies take issues of equity into consideration. Support for farmland seeking and succession planning by providing more robust and sustained support for farm business and succession planning within the Farm Viability Enhancement Program, incorporating succession outreach as part of APR stewardship, and other efforts. MDAR will continue working with Land for Good to provide succession planning resources to grantees, and to train staff to offer these resources. Resources supportive of farmland restoration through investments such as soil fertility enhancements; removal of rocks, invasive species, trees, stumps, and brush; installation of irrigation systems, drainage, or fencing; and other improvements. Federal resources exist for this work, and stakeholder groups will work with MDAR to expand awareness of these resources. The Stewardship Assistance and Restoration on APRs (SARA) program serves only APR properties, but advocates discussed pursuing additional funding for this program so that it could serve farms with non-APR conservation restrictions. The group came away with a number of follow-up action items which are currently being pursued. 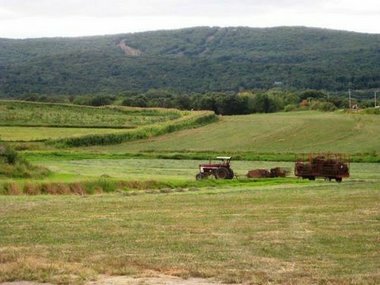 Stakeholders interested in participating in the ongoing work of the farmland access group should contact Winton at winton@mafoodsystem.org . 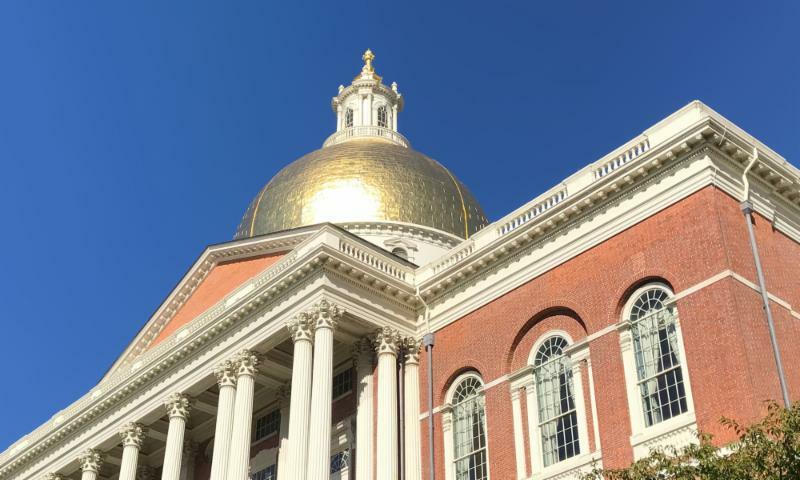 Dozens of bills have been introduced in the new legislative session that address food system issues raised as recommendations in the Massachusetts Local Food Action Plan - from farmland preservation to soil health to food access. The Collaborative worked with stakeholder groups from all sectors of the food system to develop a list of priority legislation to support, and more than 60 organizations signed on in support of the final list. The bills are listed on the Collaborative’s website , where we will track them throughout the session. Many new Americans arrive in the U.S. with farming experience and skills, but find it difficult and expensive to navigate opportunities to work and participate in the food system. 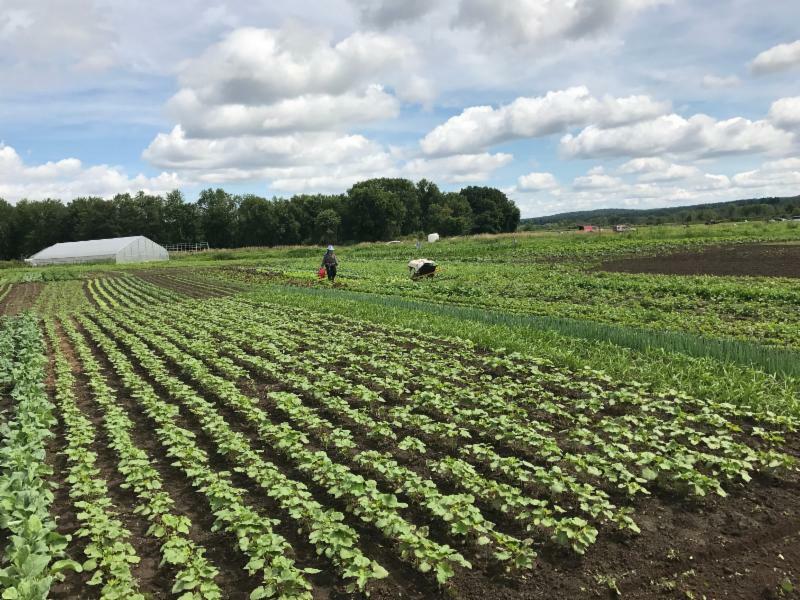 World Farmers , which operates the 70-acre Flats Mentor Farm in Lancaster, is changing that for new Americans in Massachusetts. In 1984, World Farmers began offering Hmong farmers land on which to farm. Within ten years, 190 family farmers were growing food, while learning about the local climate and culture. Currently, the organization supports more than 250 farmers from 20 countries, including many from east African countries. Forty farmers have scaled up from producing food for their families to selling vegetables at farmers markets, while others sell to retail outlets in Greater Boston and Worcester, or aggregate their goods for wholesale distribution by World Farmers. Some smaller producers have jointly created a CSA with distribution sites in Lancaster and Boston. Two years ago, one of the farmers began using the Worcester Regional Food Hub commercial kitchen to make fresh Hmong Veggie Rolls to sell at local farmers’ markets. While exploring ways to scale up, he found it difficult to find time to travel to Worcester to produce the rolls during the harvest season. In an effort to alleviate barriers such as these, World Farmers received funding through the Massachusetts Food Ventures Program to renovate the Lancaster Community Center Kitchen to serve the community as well as the immigrant and refugee farmers at Flats Mentor Farm. The kitchen’s equipment will enable the farmers to efficiently produce value-added products such as maize meal and spring rolls, and allow them to receive higher profits for the produce they grow. World Farmers also provides other types of support for the new American farmers they work with, such as helping them enroll in SNAP and HIP. And, when farmers want to make the transition to owning their own farms, World Farmers helps to identify and match them with appropriate farmland. This is one of several dozen profiles of MA food system stakeholders featured in the Collaborative's June 2018 Sustainability and Equity in the Massachusetts Food System: A Progress Report. Dual-use solar installations enable farmers to farm while generating energy, potentially helping farmers and the environment. In just 10 years, Just Roots in Greenfield has become a strong supporter of local food and its positive impact on the land, the community and people’s health. Read about the just-passed Good Food Purchasing Program that directs the city of Boston to purchase food that meets labor, health, animal welfare and environmental standards. The Commercial Food Material Disposal Ban, which has banned organizations that produce over a ton of organic waste per week since October 2014, doesn’t go far enough in reducing food waste. Want to keep up with food system news like these articles? Follow us on Facebook ! Know of another great source of events? Let us know ! Know of another great source of jobs? Let us know ! 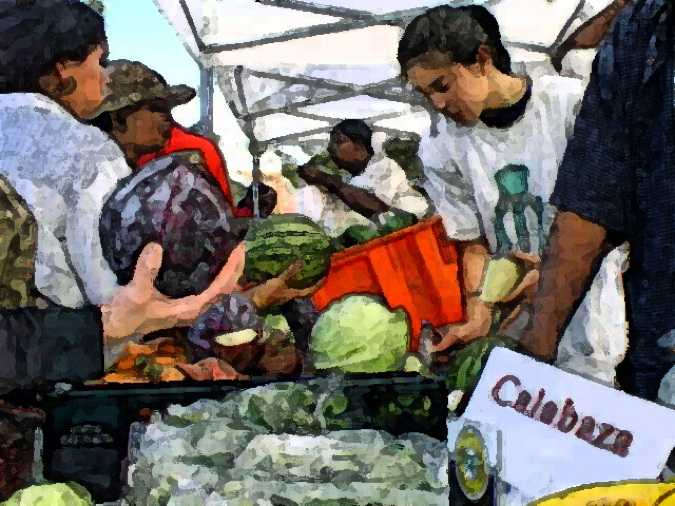 The Massachusetts Food System Collaborative promotes, monitors, and facilitates implementation of the Massachusetts Local Food Action Plan . We bring together nonprofit trade and advocacy groups, businesses, academics, policymakers, regulators, and consumers to advance recommendations toward the Plan's goals.